The term Bordeaux refers not only to the region and its capital city but also to wines produced from this area. The region is the birthplace of the first known Cabernet Sauvignon and Merlot vines and stretches from Soulac-sur-Mer and the Médoc in the north to the vineyards of Graves and Cerons in the south. Approximately 20,000 producers farm around 250,000 acres of vines, producing approximately 850 million bottles of wine each year! Around 200 years ago, the city of Bordeaux was dubbed “little Paris” due to its distinguished 17th-century architecture and more recently has become a UNESCO World Heritage Site. Most wines from the region are red blends, with Cabernet Sauvignon and Merlot being the grape mainstays but also including Cabernet Franc, Petit Verdot and Malbec. Bordeaux also makes fantastic white and sweet dessert wines, often from the villages of Sauternes and Barsac. On this tour, we’ll taste a wide range of Bordeaux wines from both the Left and Right Banks. We’ll visit several quaint, ancient villages within the region, including Paulliac, Cap Ferret, and Saint-Emilion, also a UNESCO World Heritage Site. 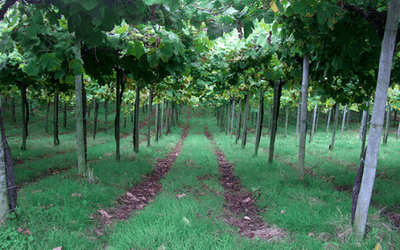 We’ll explore many breathtaking winery estates, several with quite prestigious pedigrees. We’ll venture into various wine caves with incredible histories, stores of outstanding wine, and even delicious cheeses! We’ll also climb Europe’s tallest sand dune to take in the stunning views of the Arcachon Bay (don’t worry it isn’t too strenuous of a hike!). 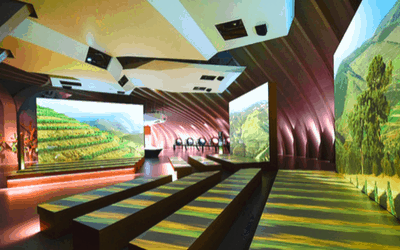 And to round things out, we’ll add to our wine knowledge by visiting a world-class interactive wine museum, La Cite du Vin. By the end of your vacation, you’ll have a well-balanced perspective of what Bordeaux is all about! Meals: All meals except two lunches and one dinner. 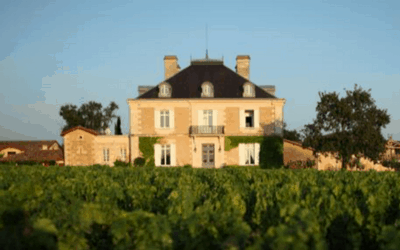 Welcome to the wine capital of France! Your guide will meet you in the lobby of our host hotel at 1:30 PM for a quick introduction. You’ll then head out for a walking tour of the lovely city of Bordeaux, taking in as many sights as possible, including Mirroir d’eau, Place de la Bourse, Rue Saint Pierre, Rue Saint Catherine, La Grande Cloche, and Marché des Capucins. We will end our walk with a sweet treat – a stop at one of Bordeaux’s delectable chocolatiers, Mademoiselle de Margaux. We then make our way to Le Bar à Vin, located on the ground floor of the l’Ecole du Vin (Bordeaux Wine School). This delightful wine bar serves a large variety of wines to taste by the glass and offers a wonderful stained glass mural filled atmosphere, making it a perfect setting for further introductions to our tour mates and itinerary, as well as an official welcome toast! Once we’ve gotten to know each other a little better, we will set out for dinner at La Brasserie Bordelaise for a classic Sud-Ouest (South West France) meal. After breakfast at the hotel, we will make our way to the Left Bank of Bordeaux to Médoc. 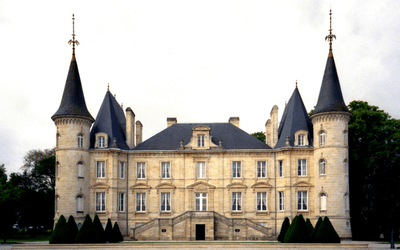 Our first stop will have you believe that we’ve stumbled upon a fairy tale as we will be exploring the castle of Chateau Pichon Baron Longueville. Our visit will take us into the cellars underneath the impeccably manicured lawn and finish with a tasting of one of their unreleased wines. For lunch, we’ll head into the town of Pauillac to a quaint little restaurant along the River Gironde, partaking in the local seafood. Once we’ve eaten our fill, we will set off for another engaging tour and tasting at one of the region’s historic wineries. We’ll then return to Bordeaux where you’ll have time to relax and explore on your own. 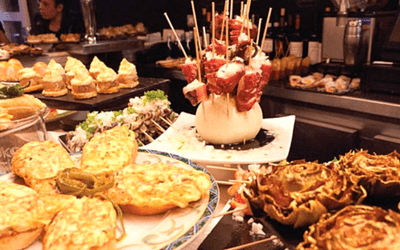 That evening, we’ll reconvene in our hotel’s lobby and walk to Baud et Millet for dinner – a cheese lover’s paradise! They have their own cheese-aging cave where you can go in and help yourself to over 100 different cheeses from all over France. 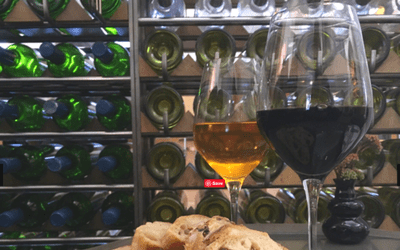 You also have the opportunity to pair regional wines with the cheese of your choice. C’est magnifique! Yesterday we explored the Left Bank of Bordeaux, today we’ll explore the Right Bank! We begin with a tour and tasting at Château Beau-Séjour Bécot, a Saint Emilion Premier Grand Cru Classé. It was once cultivated by an order of monks and even has an extensive network of underground limestone caves. Once we’ve tasted a few of their well-known Merlot, Cabernet Franc, and Cabernet Sauvignon blends, we’ll depart for the village of Saint-Emilion, a UNESCO World Heritage Site and the celebrated center of Left Bank wine production. This picturesque village dates back to ancient times with its unique Romanesque architecture and ruins scattered amongst the narrow and steep streets. We’ll take a walking tour of this charming village to learn about its history in detail. You will then have free time to explore and grab lunch on your own at one of the many quaint cafes. We’ll meet back up and head to the village’s namesake monolithic church where we’ll learn about the story of Monk Emilion, the carving of the monolithic underground church, and the fascinating catacombs. Once back above ground, we will drive back to Bordeaux where we will engage in a cooking class and dinner at the fun and funky, Le Chien de Pavlov. Today we explore the wine region of Graves and Sauternes, a larger region than Medoc but producing only about half the amount of wine. We start with a tour and tasting at Château Haut Bailly, a Cru Classé Graves in 1953 set in a gorgeous 19th-century chateau. Due to the surrounding gravely fossil soil, there is more of a mineral taste to their Merlot and Cabernet Sauvignon blends. After, we set off for Sauternes and stop for a hearty lunch along the way at an adorably cozy restaurant where meals are cooked over an open fire. We then continue on our way to the stunning estate of Château Suduiraut, formerly Formerly Cru du Roy. The estate encompasses 200 hectares of land of which 98 hectares are vineyard – 90% of their grapes are Semillon and 10% Sauvignon Blanc. The Chateau’s gardens were designed by Le Nôtre who designed gardens for Louis XIV. After our exploration of the estate, we will set out to explore their 1855 Premiere Cru Classé wines. This evening, you will have a chance to further explore the city of Bordeaux and have dinner on your own. We are off to the seaside this morning and depart for the Arcachon Bay after breakfast. When we arrive, we’ll set out to explore the Dune du Pilat. 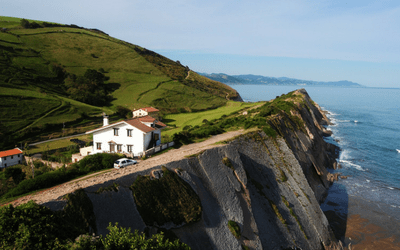 It is Europe’s tallest sand dune standing at 110 meters above sea level, providing spectacular panoramic views of the bay. 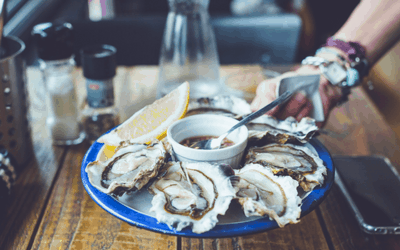 After a little exercise, we will head down to have lunch on your own in Cap Ferret, the oyster capital of France. 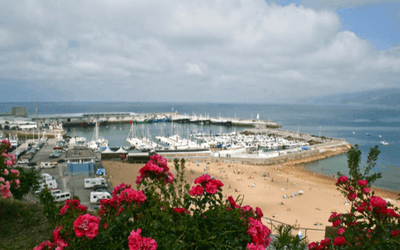 Cap Ferret is a skinny, 11-mile-long line of sand bordered to the east by the waters of Arcachon Bay and the Atlantic Ocean to the west – a perfect oyster haven. We return to Bordeaux in the early afternoon and have the option to walk to a local cognac or canelé shop. Tonight we feast at La Belle Époque, a superb quayside restaurant. Formerly the Nantes Hotel, the restaurant has maintained the exquisite decor that was designed by Amedee de Caranza at the end of the 19th century – making it a grand setting for our farewell dinner. On our last day of the tour, we take the tram to Bordeaux’s world-class interactive wine museum, La Cité du Vin. A fun way to cap off the trip, we’ll learn about the world of wine – from history, viticulture, producers, and Bordeaux in general. 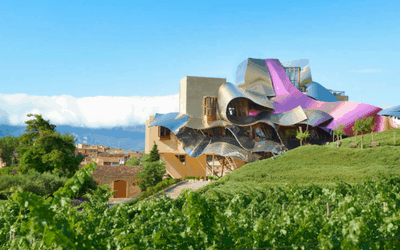 The museum is visually and architecturally spectacular both inside and out – the building itself is built to resemble “the swirls in a wine glass”! It offers hands-on, hi-tech exhibits where you are encouraged to use all five of your senses. To top things off, we’ll have a world wine tasting on the eighth floor while taking in the 360-degree view of Bordeaux. After we’ve soaked up some wine knowledge, we’ll head back to our hotel to check out and say our goodbyes. Nights 1 – 5: Located in a renovated 18th-century mansion in the center of Bordeaux, the Hotel de Normandie Bordeaux is perfectly situated near restaurants, bars, shops, and sightseeing attractions and overlooks the Place des Quinconces. You’ll enjoy a pleasant stay in 4-star accommodations with comfortable rooms and an excellent hotel staff. We meet at 1:30 PM on the first day of the tour at our downtown Bordeaux hotel, allowing you to arrive either that morning or the day before. The tour finishes in Bordeaux before lunch on the final day of the tour. There are no direct flights from the United States to Bordeaux, but you can easily fly through Paris Charles de Gaulle airport (CDG). 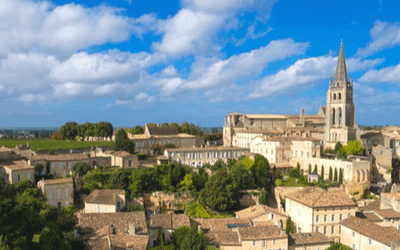 At the end of the tour, you may want to extend your stay in France and book a train from Bordeaux (Bordeaux-Saint-Jean Train Station) to other popular areas such as Nice, Paris, or Marseille.